Over the past decade we’ve witnessed an explosion of digital content that has altered our capacity to transfer data and consume information. People are now attached to their smartphones, tablets and laptops 24/7, constantly reading and digesting content. And the amount of information online will continue to double every 18 to 24 months as the capacity of the internet to transfer data approaches 1 zettabyte. Meanwhile, 500 years after the invention of the printing press, some outlets continue to proclaim that print media is dead. They say digital has won and it’s time to shift consumer focus to digital marketing and advertising only. 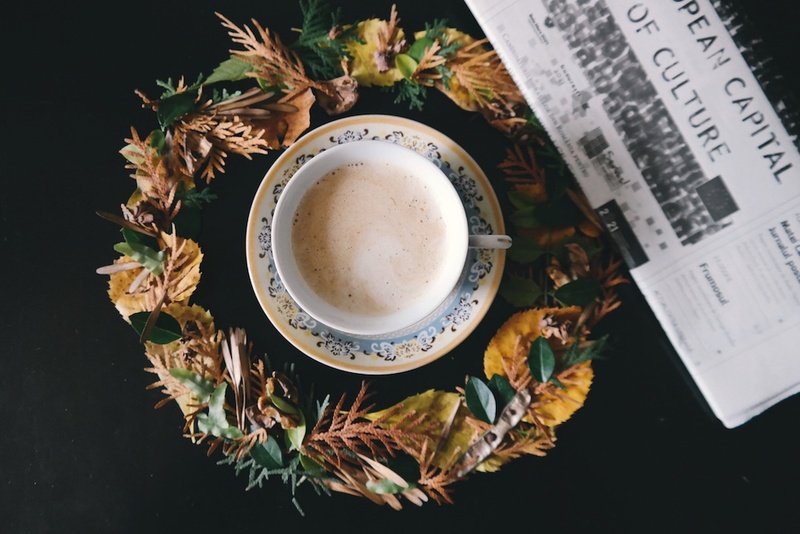 But interestingly enough, due to a perfect storm of trends and a better visual experience, print media is making advances against the digital onslaught. In fact, a recent study by MediaMax titled “Neuroscience May Explain Why Magazine Advertising Succeeds” states: “Print ads (in magazines) can be read more leisurely, and be more evocative; they can encourage readers to fantasize, to put themselves in the picture.” The study also proclaims that the use of traditional media with digital channels is more effective, and the least effective campaigns are those that use online alone. 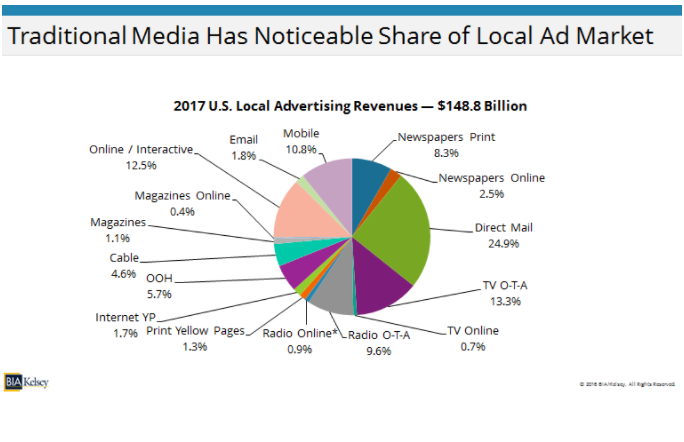 This blog highlights why print media is still a contender with data taken from Local Commerce Monitor survey of small and medium businesses and U.S. Local Advertising Forecast from BIA/Kelsey. According to BIA/Kelsey’s annual survey of small businesses, print channels continue to claim their share of advertising dollars. The chart below is a full sample of all the different media platforms used to promote SMBs. 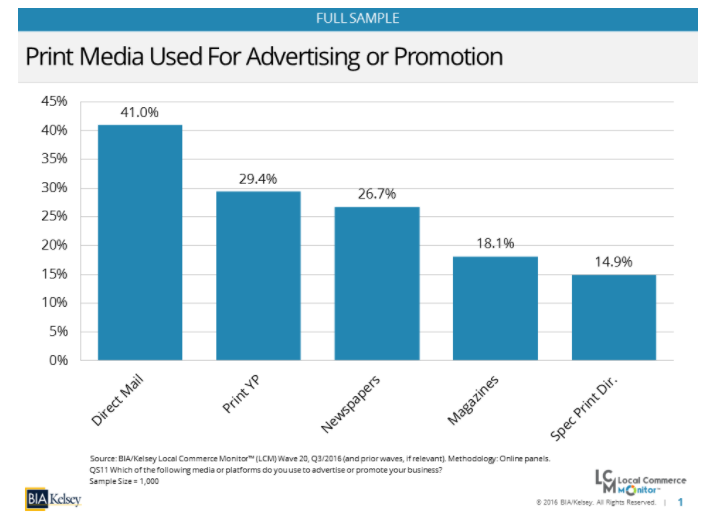 Nearly 27 percent of respondents use newspapers, and 18 percent use magazines for their advertising needs. The survey data further states that over half of the SMBs advertising in magazines plan to maintain their current ad spend, while 41 percent plan to increase their spend. They also reported great ROI with magazine placements. Nearly 28 percent of SMBs reported excellent (10-19x spend) or extraordinary (over 20x spend) ROI from their magazine advertising and promotions. Of course, digital advertising is still expected to grow. In fact, BIA/Kelsey predicts digital advertising dollars to grow from $44.2 billion in 2016 to $50.2 billion in 2017. Digital is expected to exceed the share of print media by 2018. And yet there’s still plenty of opportunity, and a range of factors are predicted to increase local ad revenue this year. Mark Fratrik, BIA/Kelsey’s chief economist, says an improving economy, increased spending by national brands in local media channels, mobile and social growth, and the continued expansion of digital advertising platforms provide local revenue boosts. Small businesses aren’t the only ones taking advantage of local print media. According to BIA/Kelsey’s U.S. local advertising forecast, many print channels are still holding strong with a quarter of U.S. local advertising revenue. Out of the $148.8 billion that is predicted to be spent on local advertising channels, print media claims 8.3 percent while magazines take 1.1 percent. 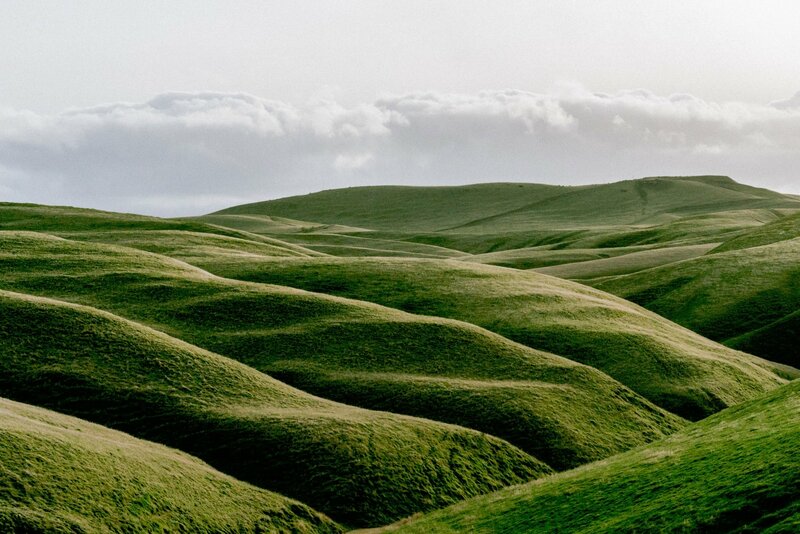 The opportunity for print and digital to work together will only grow revenue opportunity and provide businesses a multi-platform approach to reach their audiences on every level. This channel is expected to offset revenue lost from print media alone. Stats don’t lie. Print media remains a force in the ad market — especially in small- and mid-sized communities. So don’t miss out on this opportunity, and learn how Swift Local Solutions can help you reach the right audience in 2017. Hannah Vergara is a firm believer in holistic living and marketing. Using her creative passion and love for technology, she recognizes the importance of interactive engagement through a steady flow of relevant, user-oriented content in today's fast paced digital world.